Bergamo's Orio al Serio airport, located just a short bus ride from the town, has become a major European hub, with the low-cost airline Ryanair operating flights to and from many destinations. In fact, you can fly to Bergamo currently from 27 different countries around Europe and Northern Africa. At different times of year it is accessible directly from even more countries. At the moment, there are flights to Bergamo from Albania, Belgium, Bulgaria, the Canary Islands, Cyprus, Czech Republic, Denmark, Finland, France, Germany, Greece, Hungary, Ireland, Italy, Latvia, Lithuania, Morocco, Netherlands, Norway, Poland, Portugal, Romania, Slovakia, Spain, Sweden and the United Kingdom. Our new flights guide offers a comprehensive list of every flight from every airline, with information on departure times for each airport and how long the flight will take. 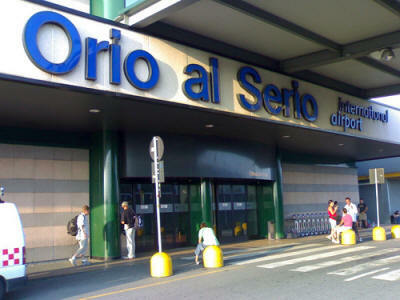 Find out how easy it is for you to fly to Bergamo. Go to the Fly to Bergamo page.